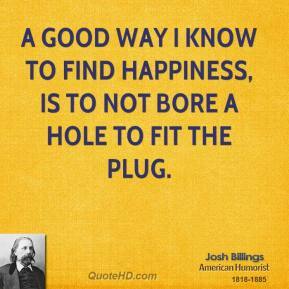 A good way I know to find happiness, is to not bore a hole to fit the plug. 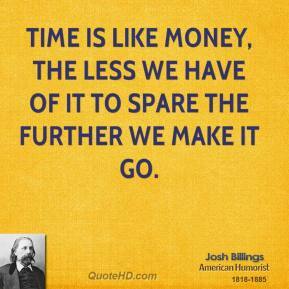 Time is like money, the less we have of it to spare the further we make it go. 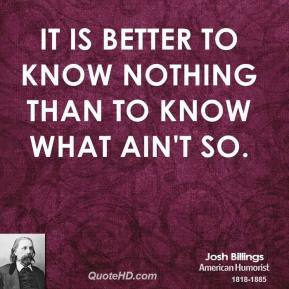 It is better to know nothing than to know what ain't so. 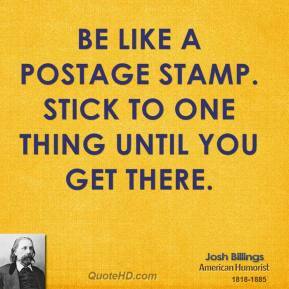 Be like a postage stamp. 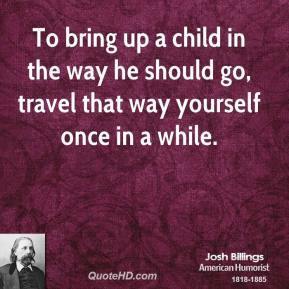 Stick to one thing until you get there. 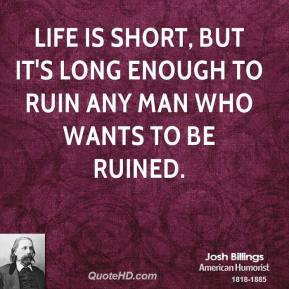 Life is short, but it's long enough to ruin any man who wants to be ruined. 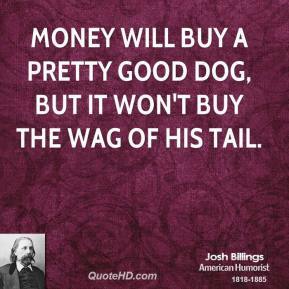 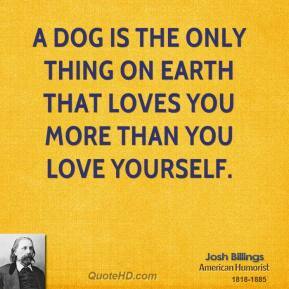 Money will buy a pretty good dog, but it won't buy the wag of his tail. 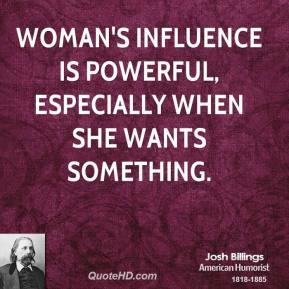 Woman's influence is powerful, especially when she wants something. 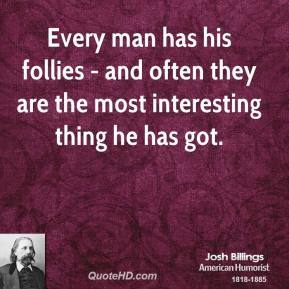 Every man has his follies - and often they are the most interesting thing he has got. 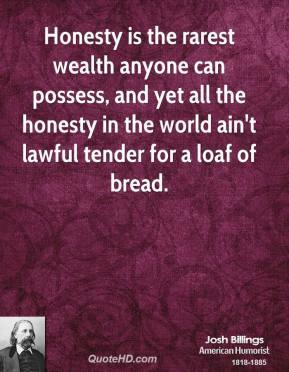 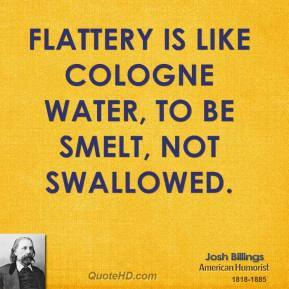 Flattery is like cologne water, to be smelt, not swallowed. 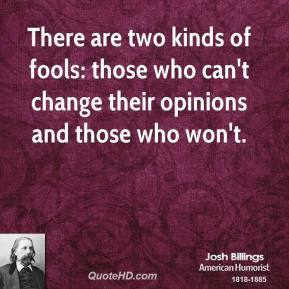 There are two kinds of fools: those who can't change their opinions and those who won't. 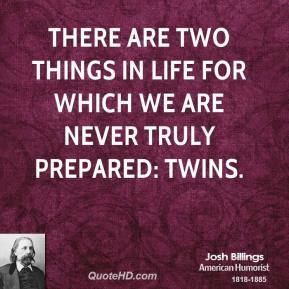 There are two things in life for which we are never truly prepared: twins. 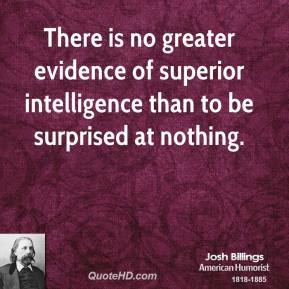 There is no greater evidence of superior intelligence than to be surprised at nothing. 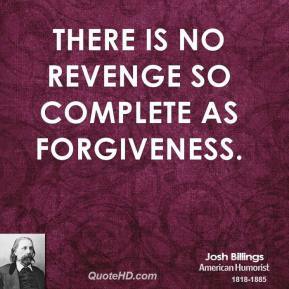 There is no revenge so complete as forgiveness. 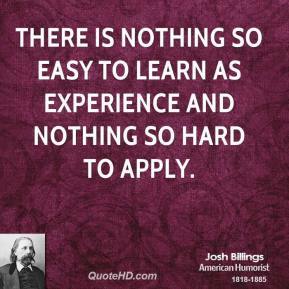 There is nothing so easy to learn as experience and nothing so hard to apply. 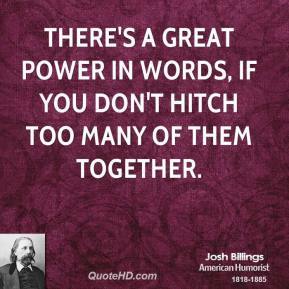 There's a great power in words, if you don't hitch too many of them together. 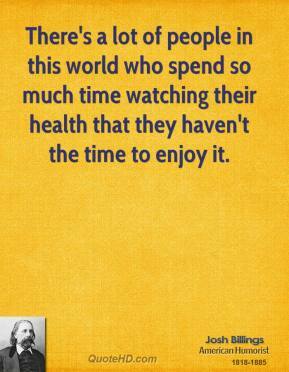 There's a lot of people in this world who spend so much time watching their health that they haven't the time to enjoy it. 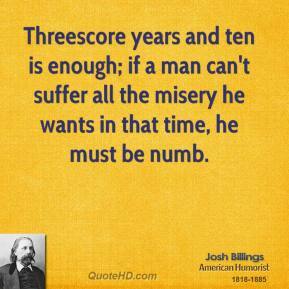 Threescore years and ten is enough; if a man can't suffer all the misery he wants in that time, he must be numb. 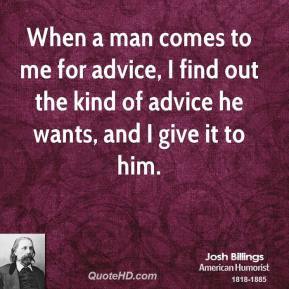 When a man comes to me for advice, I find out the kind of advice he wants, and I give it to him. 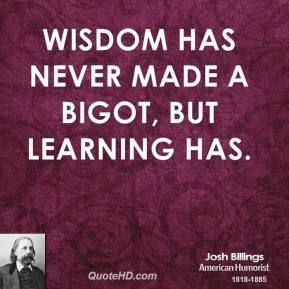 Wisdom has never made a bigot, but learning has. 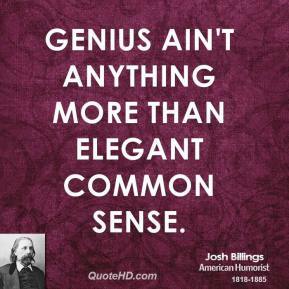 Genius ain't anything more than elegant common sense. 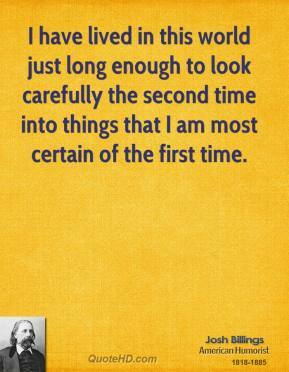 I have lived in this world just long enough to look carefully the second time into things that I am most certain of the first time. 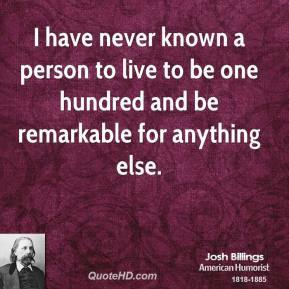 I have never known a person to live to be one hundred and be remarkable for anything else.